Darren, I heard you guys closed your call center in Virginia. Yeah, the storm was just too much. 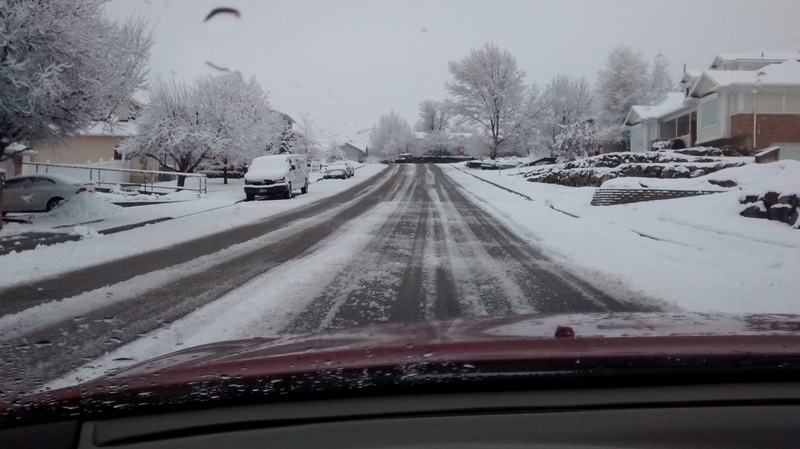 You know, it snowed in Utah too. Of course, we have to go to work when it snows. You might have heard it snowed a little in the eastern part of the United States last week. My company has facilities in Kentucky and Virginia. Kentucky took a glancing blow, but our Virginia facility got hit pretty hard. We were closed for a couple of days. 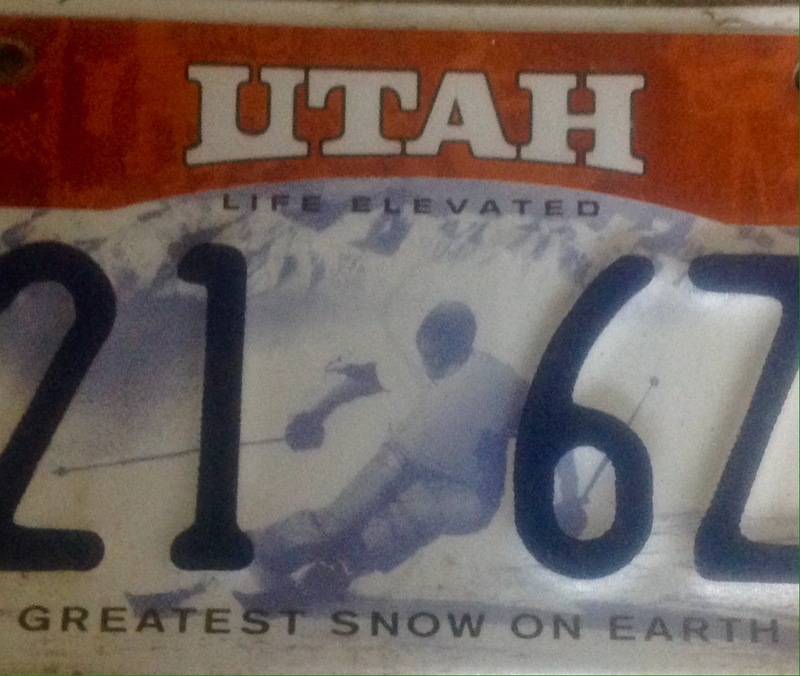 It snows in Utah and we tend to think of ourselves as used to it. But, it’s like saying, I’m a skilled kayaker, therefore I should be able to sail a small boat. I mean, both are vessels that sit on the water, right? On Christmas Eve, we got about 18″ of snow. That’s less than shut down our Virginia facility. Wimps. We had a snow storm come through Utah over this past weekend. It dropped about 3″ in my neighborhood Saturday night. Sunday, was a busy day for us. We were attending a local church conference, (called a Stake Conference for LDS readers.) One of my daughters was singing in a youth choir and had to be at the church at 6:40AM to practice. 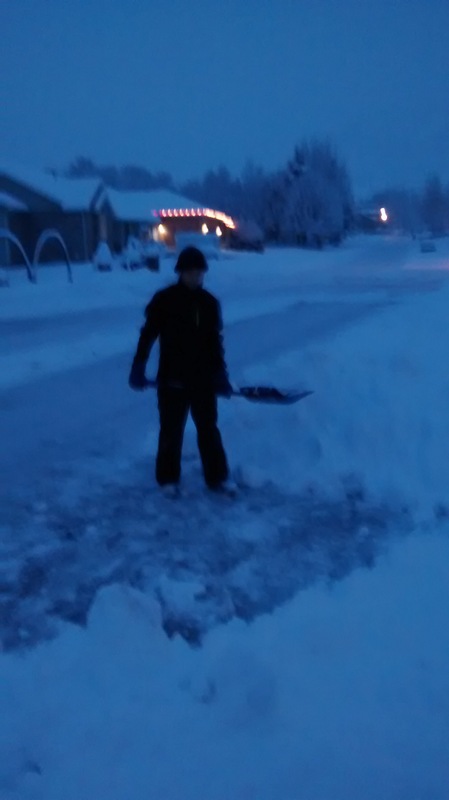 I knew I’d be taking the rest of the kids to the youth portion of the conference at 7:15, so I shoveled the driveway while warming up the van to take the early morning singer. I made it about 2 blocks. This was not our normal powdery snow. This stuff was heavy, wet and very, very slick. Ah. . .we’re going to have to go back and switch cars. There’s no way I could get the van up the hill into the church parking lot. Our van is rear wheel drive and has standard tires. My Lexus is front wheel drive and has snow tires. The trip back and forth to the church was actually kind of fun, if you enjoy drifting around corners and doing an ebrake power slide in the snow covered parking lot. At 7:15 I was back in my car taking the first group of youth to the church. Hey Dad, can Paul have a ride? He wants to go but doesn’t have a way to get there. Doesn’t he live up on Canyon View Drive? Well, I hope the plows have hit his street. It’s kind of steep. More drifting, More spinning tires. More appreciation for plow and sand trucks. Two more trips in the small car and everyone got there safely. At 9:00 it was two more trips back and forth to ferry the kids back, except for the singer who was staying for yet another practice for the adult choir. We made another detour to Canyon View Dr to drop off Paul. The general session of conference was scheduled for 10:00. By that time three important things had happened. It had quit snowing. The snowplows had been by several times, moving snow and laying down sand. And the sun had started to poke through the clouds. The roads were to the point that we trusted ourselves to the van. The three inches we got over the weekend was worse than the foot and a half we got at Christmas. And that’s where the comparisons with Utah and the East coast come into play. Our snow is not like their snow. Utah is a desert. It sounds almost like a contradiction to talk about snowstorms in a desert. But, Utah gets about 12″ of “rainfall” per year. Typically 10 inches of snow is the equivalent of an inch of rain. That number can vary from 15:1 if it’s cold down to 5:1 if it’s warm. On Sunday the temperature was hovering right around 32 degrees. The snow we got was thick. And that’s what the storms on the East often bring, wet, heavy, slick snow. We tend to see the world as a reflection of our own experiences. I live in Utah. We get 60″ of snow on average. We laugh at anything less than 6″. 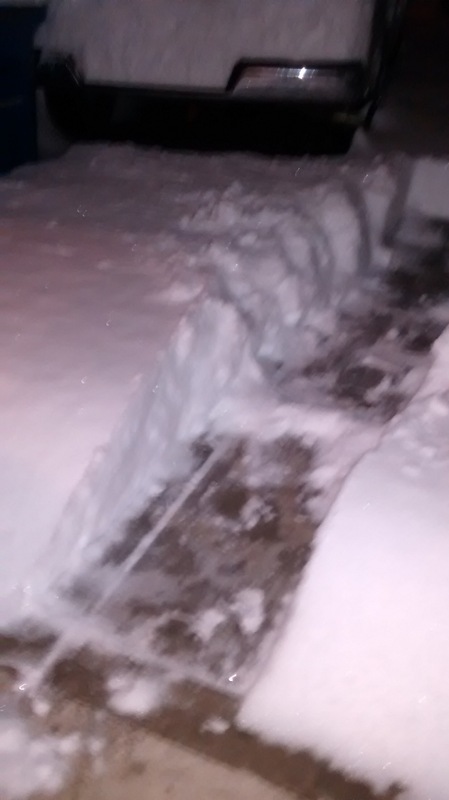 It’s hardly worth shoveling. But, just a slight change in temperature, and a couple of inches of “east coast” type snow and we are right there with the Virginia drivers, struggling to make it up the smallest hills. . .at least until the snowplows come by. Part of the reason our family moved to the house we have now is so the kids would have a chance to shovel the driveway and mow the lawn. I think it’s important for kids to have those types of responsibilities.